Clinical. 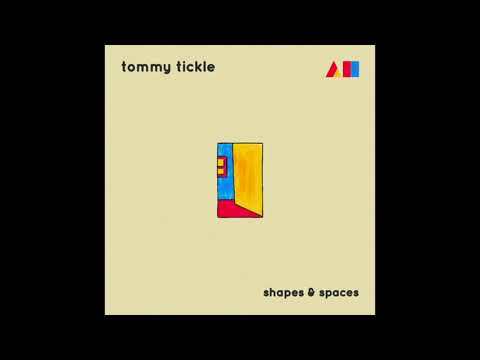 A word best used to describe the latest “Shapes & Spaces” EP from Tommy Tickle AKA Meles Meles. Separating his time between both London & Manchester, the young man’s been on a writing roll of late, churning out some svelte recordings. When asked about this next slice, Tommy is quick to tell us the release encapsulates feelings of healing, catharsis and escapism. This one’s a strange beast with a ream of flavours. You can hear nods to the likes of St Germain, UKG and early Leon Vynehall. As one quarter of jazz troupe A Broken Camarilla, Tommy uses his side project to explore his love of all things house, disco, garage and funk. And boy are we happy he does so! It is with great pleasure that we premiere Goldrush, the third track off his latest escapade thanks to Ad Hoc Records. Goldrush screams carnival, streamers and colour. Imagine being a part of a dancing street procession with this blaring from the speakers. Elated horns and one very neat kick are the spectacle here. Throw in some jubilant vocal cries and it really does start to feel like we’ve legitimately struck Gold! “Shapes & Spaces” is Tommy’s debut release via Ad Hoc, a label who push any Manchester sounds they vibe. A quote unquote ‘post anything mentality’. Ad Hoc spread their arms far and wide in search of tunes that carry their imprint. No prejudices on language, ethnicity or socio-economic background. What an amazing ethos it is! There’s enough division in our world as it stands, let dance bring us all closer together. You can pre-order yours directly from the label’s Bandcamp.